The view of the pool where we swim from our balcony. In the distance is the neighbouring island of La Gomera. 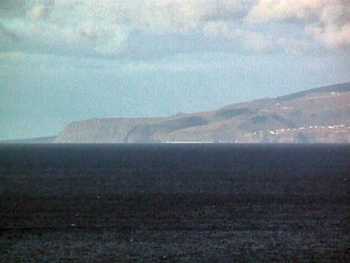 La Gomera. The town of San Sebastian used to be the last landfall before the sailing ships set off across the Atlantic for the Caribean. Christopher Columbus set out from San Sebastian on his voyages to America. 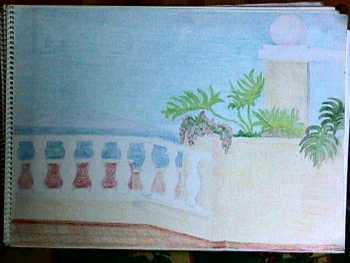 This is a picture I drew (coloured pencils) of our balcony. La Gomera is on the horizon. 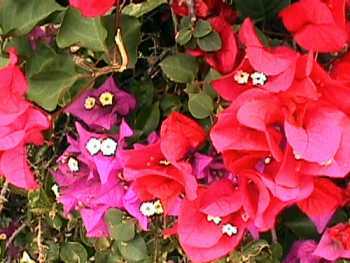 Bouganvillia - a climber seen everywhere on Tenerife. The flowers are small and white. The bright outer petals act like wings to transport the seeds. 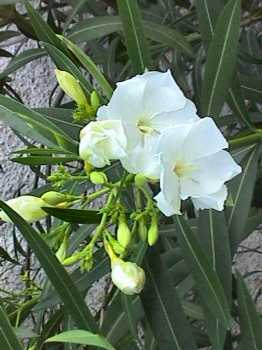 White oleander. It has a lovely spicy perfume. 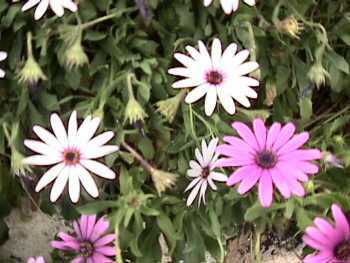 There is also a pink variety. These flowers grew all over the island, often wild. This is a variety of strelitzia. 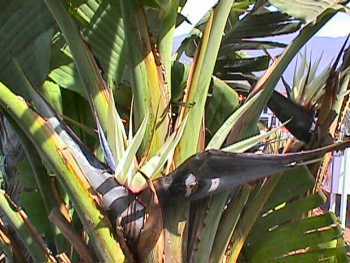 It is a bush/small tree which looks a bit like a banana tree. 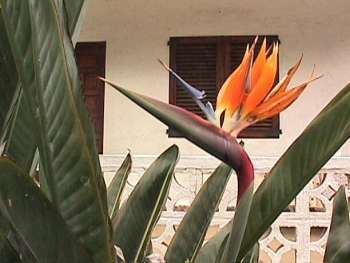 Strelitzia flower. It looks rather like a bird.